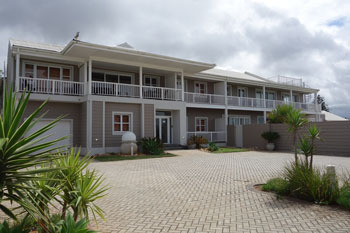 Blue Bay, previously known as Blu Be’ and under new ownership, is located on the beachfront in Summerstrand, Port Elizabeth and it’s the perfect base for your stay in “PE” – whether you’re here on business, heading out to a game reserve or just need to get away and unwind by the sea. In addition to the 7 Guest Suites we are delighted to be able to offer exclusive use of a spacious 4 double bed house complete with a modern fully fitted kitchen, large entertaining areas, a salt water swimming pool and garage parking for two cars. Please use the house link for more details. 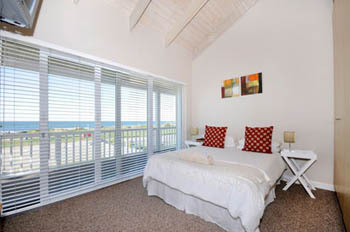 Blue Bay Bnb is a Cape Cod styled beach house boasting uninterrupted sea views from private balconies. Decorated in a contemporary style, the soothing sound of water enhances the tranquil atmosphere. 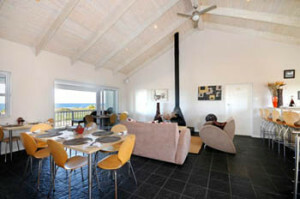 All rooms are furnished with tea trays, satellite TV and wireless internet access. Breakfasts are enjoyed on the balcony. 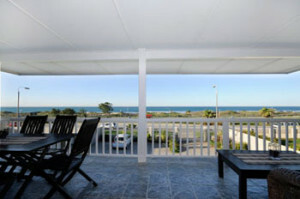 Airport, city attractions and golf courses are only 10 minutes away. 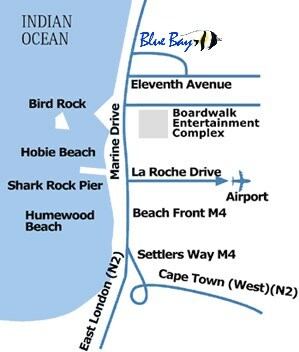 Restaurants and the Boardwalk Casino complex are within walking distance.